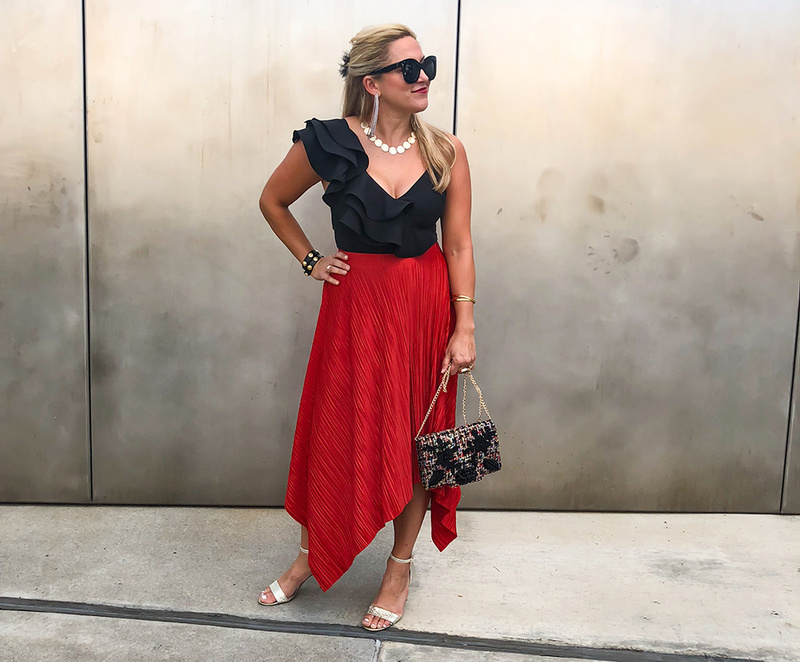 With Instagram I am able to follow my favorite style and fashion bloggers, ‘like’ or ‘heart’ what they are wearing in posts and get an email with exact outfit details. This is a fantastic concept on many levels. But I would suggest that in an era where skinny and tall is most often the only option to view my favorite brands, it is refreshing to follow real people wearing clothes that fit other body types. Blogging about what we wear, where we travel and life in general is nothing new to the web. But being able to see an ensemble, blouse or dining table recommended by someone with similar taste and get direct links to shop those items is a game-changer! ShopStyle.it is where to sign up and you can follow along with my fashion adventures on instagram and ShopStyle.it/atlantadanna. The Rebecca Minkoff weekend-ready Mini MAC with fringe is so flirty and fun. This is classic Rebecca Minkoff AND currently on sale!